Nursing tutor Denny McLeod, of Te Horo, says she’s appalled by the continuing slaughter of birds on the Kāpiti Expressway. — and says the Transport Agency’s reaction to an earlier KIN story is inadequate. 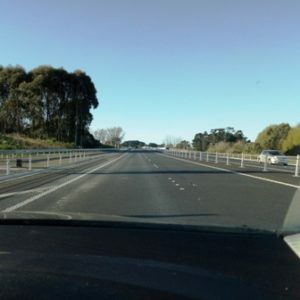 She says: “Since sending you my letter and challenge to NZTA to erect bird netting to the guardrail to stop the ducks crossing, there have been many more deaths, with bodies littered on the side of the motorway as well as in the middle of the road. “Surely there’s a more cost-effective way to protect them ( the birds) other than planting over 1.4 million plants. Denny says: “I don’t know which is worse: cruelty or indifference. “How much energy does it take to speak up? We’ve just had the Kereru crowned “bird of the year” so my question is: would the indifference of the NZTA change if instead of ducklings being run over on the expressway, they were Kereru? NZTA only going half the distance. She says that although NZTA spokesman Chris Hunt states that ‘animals or birds on the expressway happens occasionally [in regards to loss]’, I would challenge him to do a regular drive up and down the expressway. “Because I know for sure, from driving that stretch of road five days a week, that there are far more than “occasional” animal deaths. HI Geoffrey. I agree it’s too late to place tunnels under the road now but they can consider this an option for future expressway road placements. 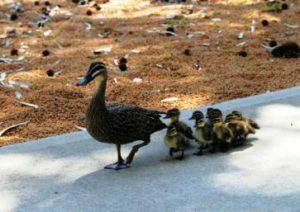 They also could erect bird netting now (the small square netting so the ducklings can’t get through) – this would be a very cost effective simple solution and may save some lives yet NZTA won’t even consider this. I even offered to pay for the stretch opposite the ponds. There’s a guard rail running the length of the expressway so they could easily attach it to that in places where bird life is most vulnerable. would take them a day at most. It seems that the NZTA didn’t consider the issue when the ‘Ewy’ was built, but it would be too costly for a tunnel to be retrofitted for this purpose.